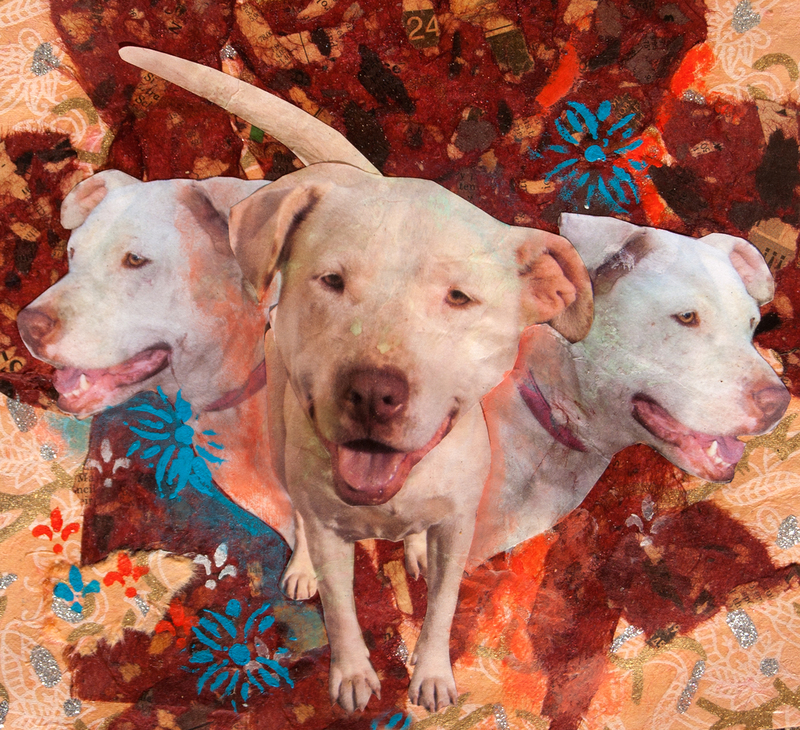 I’m not usually one for straightforward dog portraits, but I had fun with this collage. The subject’s name is Nyx, named after the ancient Greek goddess of Night. She was the daughter of Chaos and the mother of Sleep and Death. The mythological Nyx is a dark and mysterious figure. The canine Nyx is more of a good-natured watchdog. So I took some artistic license and recast Nyx as Cerberus, the three-headed dog who guarded the gates of Hades. I think it suits her.